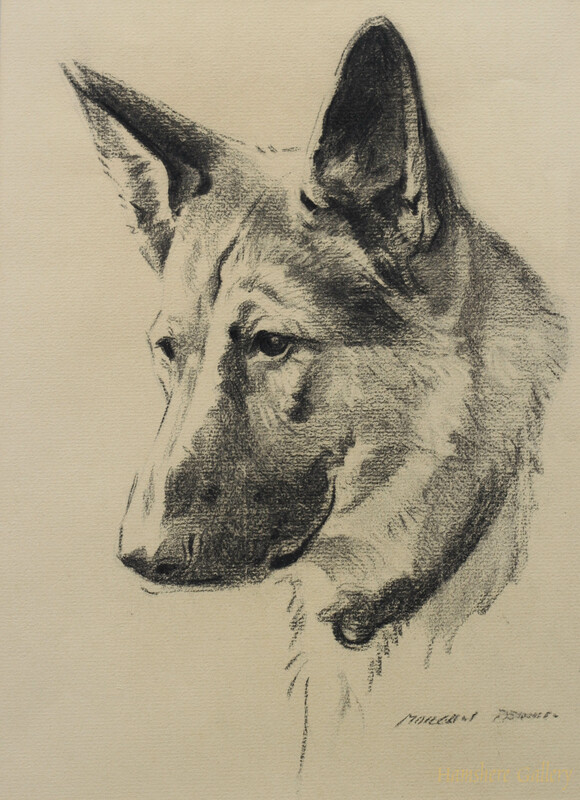 A crayon drawing of German Shepherd by Morgan Dennis (American, 1892-1960). Signed bottom right "Morgan Dennis". Possibly a preparatory sketch for a an etching for which the artist eminently known.